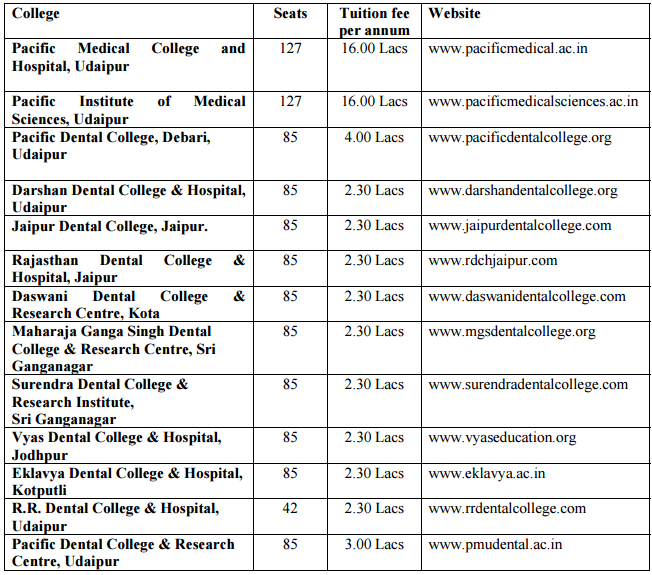 Federation of Private Medical & Dental Colleges of Rajasthan has released notification for admission into MBBS/BDS courses for the academic year 2016-2017. Only qualified candidates in NEET 2016 will be eligible to take admission in MBBS/BDS Courses in all Private member colleges / institutions (2 Medical and 11 Dental Colleges) in the State of Rajasthan. Latest – Details of 2nd Counselling for FPMDCR Rajasthan MBBS & BDS Admission has been announced. Check below. Federation of Private Medical & Dental Colleges of Rajasthan Canceled its PCPMT (Entrance Test) for admission to MBBS/BDS Course. Federation of Private Medical & Dental Colleges of Rajasthan MBBS/BDS Admission 2016 will be done on the basis of marks obtained in the NEET 2016. The NEET 2016 has been conducted for 85% seats in Private Medical / Dental Colleges who have opted to fill the seats in the respective colleges through Federation of Private Medical and Dental Colleges of Rajasthan, as per the rules and regulations laid down by Hon’ble Supreme Court of India & Sate Government. Schedule for the FPMDCR Rajasthan MBBS / BDS Admission 2016 is given below. Federation of Private Medical and Dental Colleges of Rajasthan will conduct 2nd Counseling for admission in MBBS & BDS courses on 25 Sep 2016 at 11:00 AM. The candidate who have opted “Choice Not Available (CNA)” in the first round of counselling are eligible for 2nd Round of Counselling. The candidate who have allotted the college and reported to their respective allotted college and deposit the fee in their college are eligible for 2nd Round of Counselling. The candidates have to bring with them the proof of reporting to the respective college of First Counselling along with the requisite original documents for 2nd Round of Counselling. The candidates who do not join the allotted college in the first round of counselling are not eligible to be considered for all subsequent rounds of counselling. The candidate who is absent in the First round of counselling are not eligible for 2nd Round of Counselling. 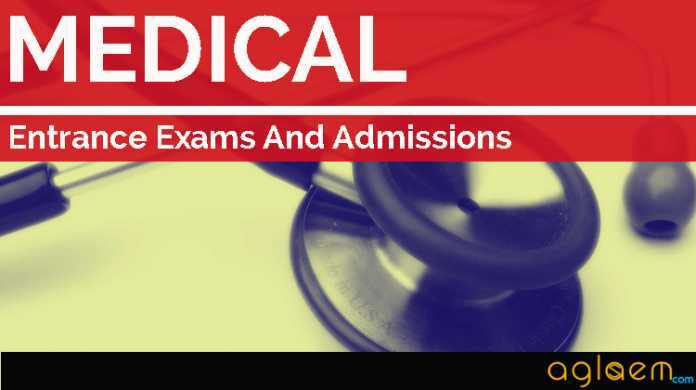 MBBS – The Senior Secondary examination or the Indian School Certificate Examination, which Is equivalent to 10+2 after a period of 12 years study, the last 2 years of study must comprise of Physics, Chemistry, Biology / Biotechnology with English as compulsory subject. BDS – The Senior Secondary examination or the Indian School Certificate Examination, which is equivalent to 10+2 after a period of 12 years study, the last 2 years of study must comprise of Physics, Chemistry, Biology with English as compulsory subject. 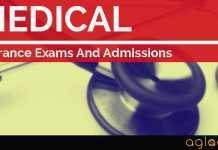 Note: Where the Course content is not as prescribed for 10+2 educational structure of the National Committee, the candidate will have to undergo period of one year PreProfessional training before admission to Medical Colleges. The Pre-Professional Course may be conducted either at a Medical College or a Science College. A candidate must have passed in the subjects of Physics, Chemistry, Biology / Biotechnology and English individually and must have obtained a minimum of 50% marks taken together in Physics, Chemistry & Biology / Biotechnology at the qualifying examination and in addition must have obtained minimum of 50 percentile and come in the merit list as a result of such competitive entrance examination (NEET 2016). In respect of candidate belonging to Scheduled Castes, Scheduled Tribes, Other Backward Classes and Special Backward Classes, a candidate must have passed in the subjects of Physics, Chemistry, Biology / Biotechnology and English individually and must have obtained a minimum of 40% marks taken together in Physics, Chemistry & Biology / Biotechnology at the qualifying examination and in addition must have obtained minimum of 40 percentile and come in the merit list as a result of such competitive entrance examination (NEET 2016). Further, a candidate with locomotor disability of lower limbs must have passed in the subjects of Physics, Chemistry, Biology / Biotechnology and English individually and must have obtained a minimum of 45% marks for General PH and 40% marks for SCPH/ST-PH/OBC-PH/SBC-PH taken together in Physics, Chemistry & Biology / Biotechnology at the qualifying examination and in addition must have obtained a minimum of 45 percentile for General PH and 40 percentile for SC-PH/ST-PH/OBCPH/SBC-PH and come in the merit list as a result of such competitive entrance examination (NEET 2016). Age Limit – Minimum 17 years on or before 31st December 2016. Reservation policy as per guidelines of Government from time to time for admission in MBBS / BDS Course will be followed by the Federation during allotment of seats in respective course. Allotment of seats through counseling of all successful and registered candidates through NEET 2016 result shall be conducted for all the candidates who has applied for FPMDCR – UG NEET 2016 Counseling, strictly in accordance with the merit list prepared on the basis of marks in NEET 2016 (and within same marks on the basis of 10+2 marks in science subjects, no. of attempts in 10+2 and marks in 10th class). The merit shall be considered corresponding to minimum percentile obtained in NEET 2016 for all categories. The selected candidates should bring the requisite documents in original along with attested copies of documents for verification, at the time of counseling / admission to the allotted college, failing which admission shall stand cancelled. The allotment of students to Medical / Dental Colleges shall be based solely on the All India merit of the candidate through NEET 2016. The eligible passed candidates in the NEET 2016 will be admitted in the order of merit for the general as well as reserved seats. One who has secured more marks in the science subjects of 10+2 or its equivalent qualifying examination. One who has passed in lesser number of attempts in 10+2 or its equivalent qualifying examination. The candidate of higher age (older candidate). Each candidate shall be given the time as mentioned in the allotment letter, issued on line, to join the allotted college and course. There is no provision of extension for joining date under any circumstances. The allotment made will be firm and final. Change of college/course from one place to another is not permitted. Therefore, request for the same would not be entertained by the Admission Board after the allotment, except the candidate can opt for 2nd round for change of college/course as per allotment. The candidates who do not join the allotted college in the first round of counselling will be in-eligible to be considered for all subsequent rounds of counselling. For more detail of FPMDCR Rajasthan MBBS / BDS Admission 2016 – Download Information Brochure.